Main Street in Speedway will be the place to be on Wednesday, December 5th, as they “Light up the Night”. 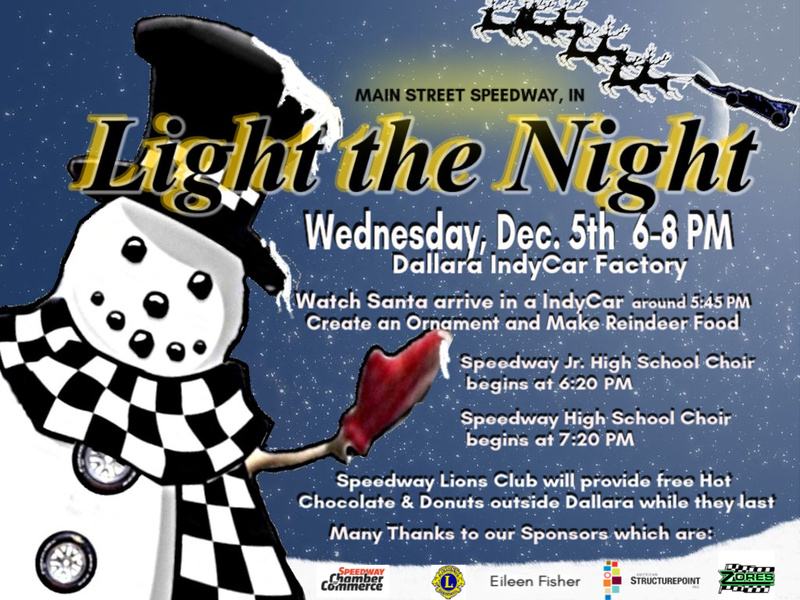 Santa will be arriving by race car around 5:45 p.m. in front of Dallara IndyCar Factory, the Speedway Junior High Choir will be singing at 6:20 p.m. and the Speedway High School Choir will sing beginning at 7:20. There are things for children to do as well. See the attached flyer for more details. Come out and enjoy the sights and sounds of the Christmas season. Hope to see many of you there.